Nothing really good happens when there are two Queens looking for the throne. Yes, we are talking about the Alice in Wonderland theme here. There are quite a few slots based on this theme but we like Genesis’ take on the graphics. It has proper elements of surprise and the background justifies the theme well. So you can see there are 5 reels and 25 pay lines. There are usual symbols such as 9, 10, K, A, etc. But the really high valued symbols are the White Queen, Red Queen, Humpty Dumpty and Tweedledum or Tweedledee. There’s a giant spiraling button at the bottom right corner of the screen – that is the spinning button. 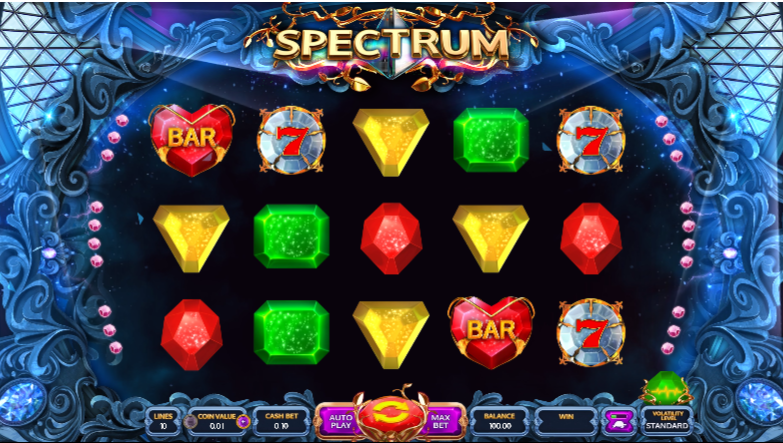 Or you can just hit the auto play and enjoy the free slots as they roll on. Where there is wonderland, there is magic. Maybe this is the reason Genesis Gaming has added a little bit of parallax scrolling to the background. This means that the background can move slightly on either side, independent of the reels. This feature is available in some of the games from Novomatic as well, but Genesis added this to a game where the background is really alluring. Coming back to the game, there is one stunning bonus feature here and that is the Clash of the Queens. This is the free slot machine feature which is triggered if you land a red or a white queen on opposite reels. This means that if you land a queen on reel one you have to land the other queen on reel 5. You have to pick the correct winner to win this battle. Both queens have some surprise.